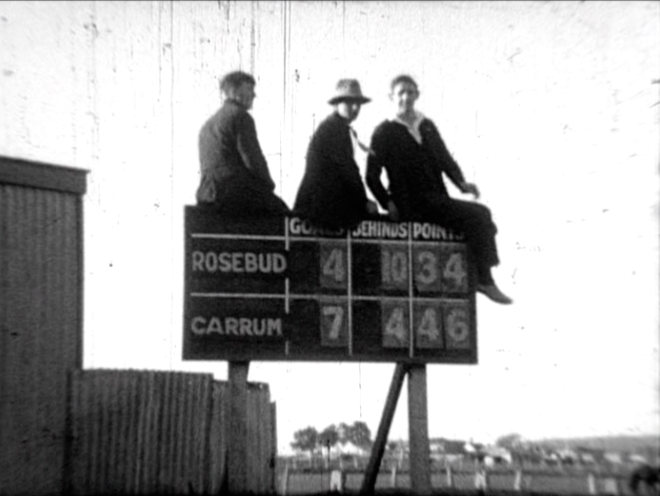 Not sure where guys kept their scoreboard numbers and how they kept their balance but they probably had the best view of the 1932 Grand Final between Rosebud and Carrum , played at Dromana. 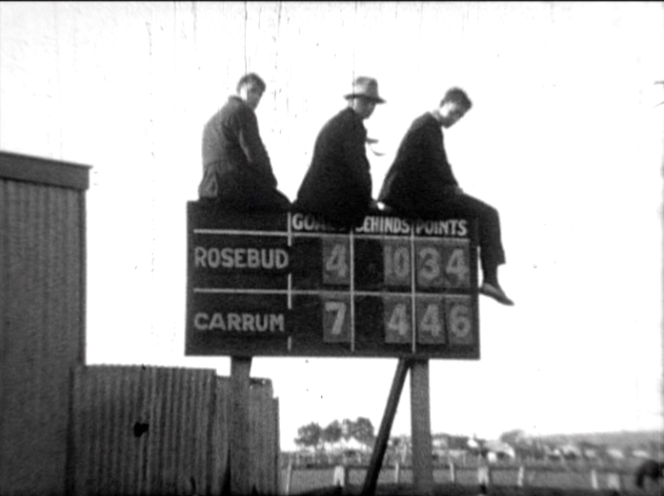 Final scores: Carrum 9-6-60 defeated Rosebud 5-12-42. Thanks to Daryl Pitman of The Local Footy Show and Doug Dyall and Russell Jacjung – and thier colleagues – at the Mornington Peninsula Nepean Football League history committee.